Deep cleaner of washing machines. Removes odors from your washer. Code: DS004. Package for 2 applications. two silver colour pouch with a special cleaner that writes on Enzy Complex. start a program at 40-50 degrees. 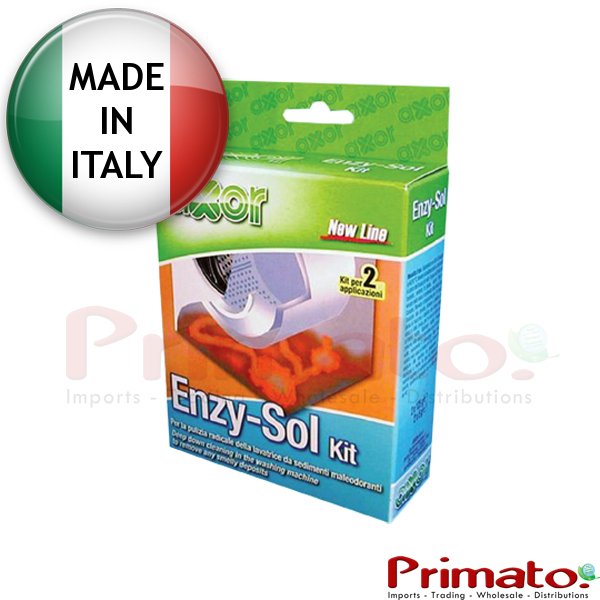 stop the program, open the door and pour into an enzy complex pouch . for 5 hours or even all night. without putting inside any clothes and without pre-washing. Then run a program with cold water without putting inside any clothes. If there are residues that do not leave, repeat the process.